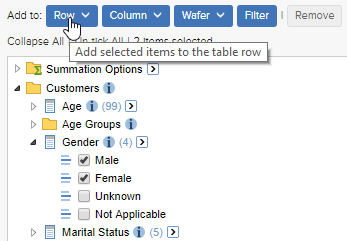 You can add multiple fields to one axis in your table. 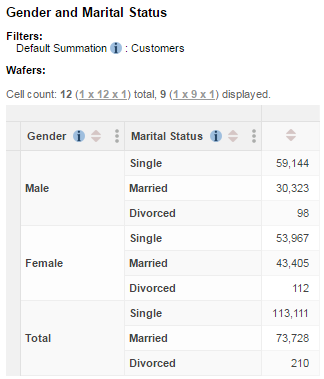 You have two different options for doing this: nesting the fields, and concatenating them. Concatenation is enabled in SuperWEB2 by default, but it is possible your administrator may have disabled this feature on your deployment. 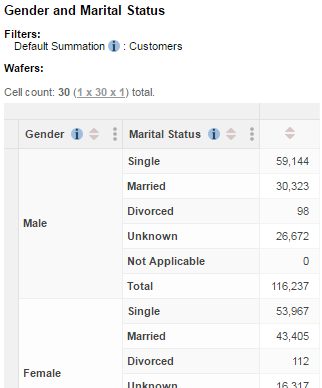 If this is the case you will be able to nest fields in your tables but not concatenate them. 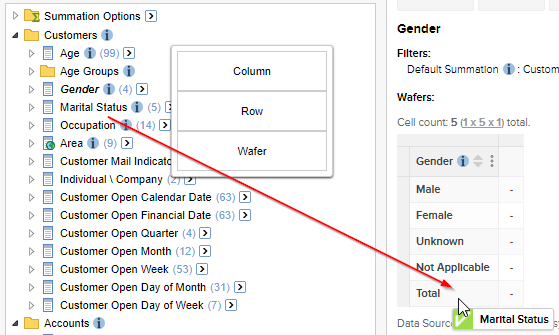 Some features are not available when you have nested or concatenated fields in your table. For example, mapping will not be available if you concatenate or nest a geographic field (although mapping will still be available if the nesting or concatenation is only on the opposite axis to the one that contains the geographic field). There are two ways you can nest fields on an axis. 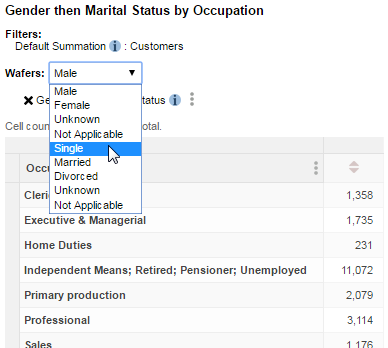 The best one to choose will depend on whether you want to add all a field's items or whether you want to select specific items within the field. This method is the quickest way to start building up a table. 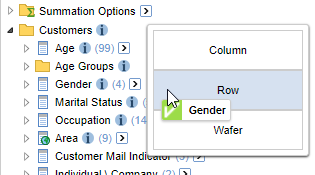 It adds all of the items for a particular field at once with a simple drag and drop technique. This method is a better option if you only want specific items from a field. 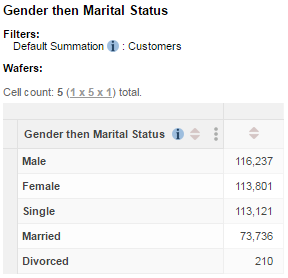 There are two ways you can concatenate fields on an axis. 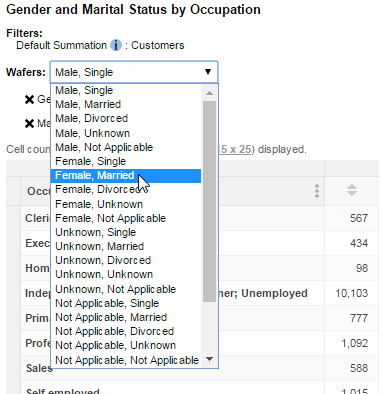 The best one to choose will depend on whether you want to add all a field's items or whether you want to select specific items within the field. 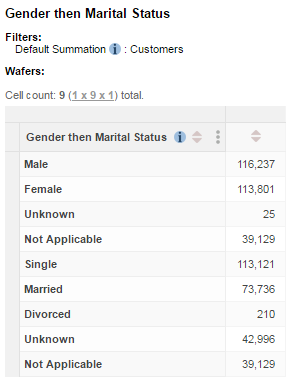 This method is the quickest way to concatenate two fields in a table. 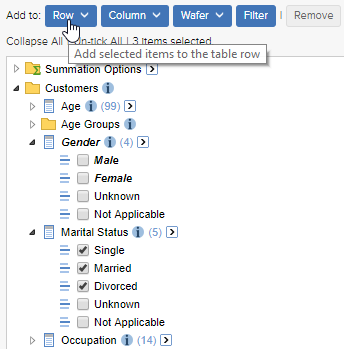 It adds all of the items for a particular field at once with a simple drag and drop technique. 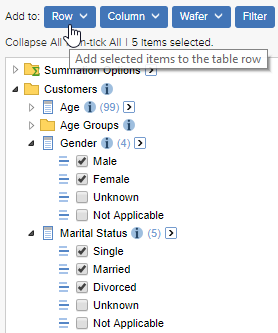 This method can be a better option if you want to select which items from a field you are adding to the table. 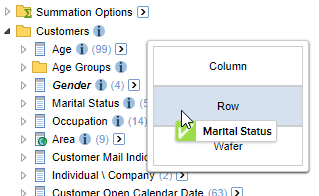 If your administrator has disabled concatenation, then the fields will be nested instead.